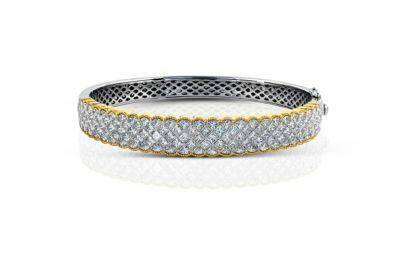 This dazzling diamond bangle comes from Simon G. Jewelry. 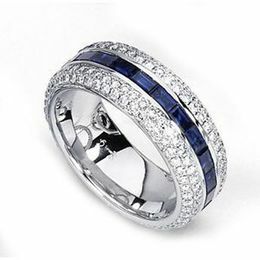 It is set in 18 karat white and yellow gold. 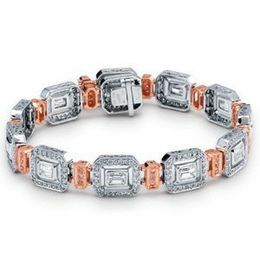 It features 8.72 carat total weight princess cut diamonds.